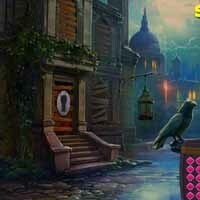 Lazy Little Boy Escape is the latest point and click escape game created by aVmGames.com. There was a very large city and that was so beautiful. In the beautiful city one Lazy Little boy living. One day, that Lazy Little boy was stuck in a house by mistake. It is your duty to rescue the jocular boy. It will help you to find the hidden clues and items where the Lazy Little boy is to save him. Find them all and escape the Lazy Little boy. Good luck and have fun!